There have been several products that I have been wanting to review, but have not done so in the name of laziness. However, I finally decided to get off my arse and start writing another review after realising I have been doing absolutely nothing for the past few weeks. 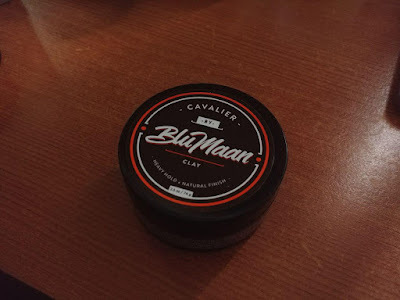 Today, we'll be taking a look at yet another clay, called Cavalier Clay (I'm a clay lover if you can't tell) by Blumaan. 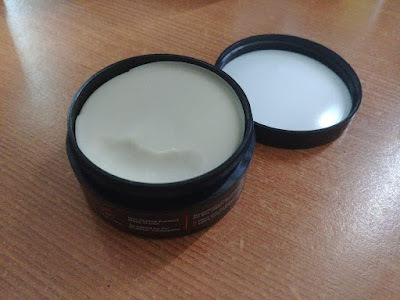 This clay is an oil based clay, a first for the blog. So far, the products that I have tried from their line (Original and Cavalier) have impressed me and I do plan on writing a review on Original, but that's for another day. There's nothing much to say about background, other than the fact that this product was originally by Cameron Cretney, another popular YouTuber. I'm not sure if Blumaan was a part of the formulation throughout, so that's about it really. 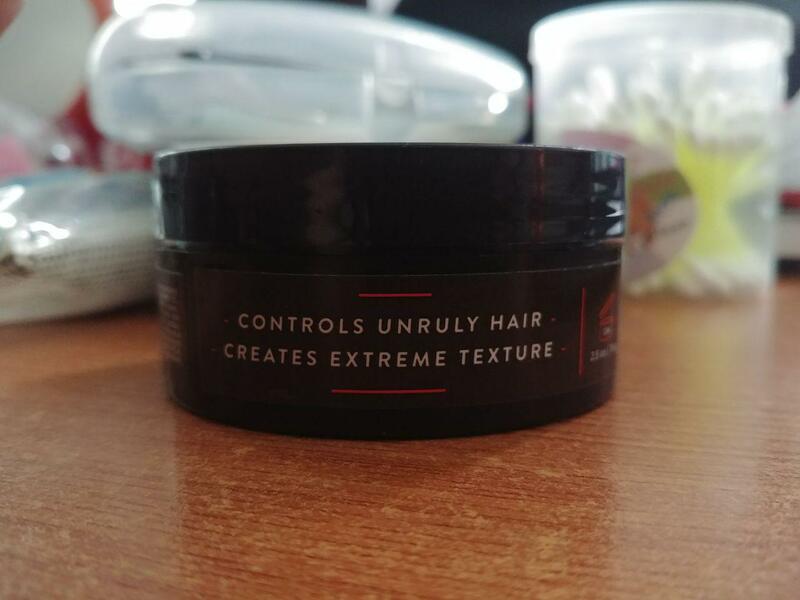 It's an oil based clay which promises to create extreme texture and control unruly hair. Cavalier Clay comes in a 2.5oz (74g) plastic jar with labels on the front and side. 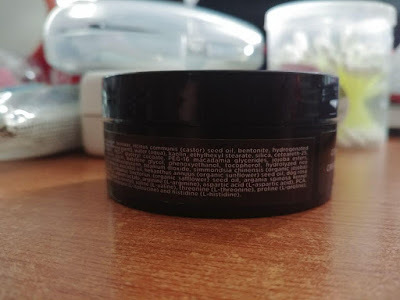 The front label consists of the branding and the side label consists of the ingredients and other useful information such as their website and Blumaan's YouTube channel (linked down below). Simplistic packaging that doesn't blow me away, but I like it. Cavalier Clay by Blumaan comes in a 2.5oz (74g) plastic jar. Ingredients: paraffinum liquidum, beeswax, ricinus communis (castor) seed oil, bentonite, hydrogenated castor oil, VP/VA copolymer (firming agent), water (aqua), kaolin, ethylhexyl stearate, silica, ceteareth-25, glycerin, PVP (firming agent), PEG-7 glyceryl cocoate, PEG-16 macadamia glycerides, jojoba esters, fragrance (parfum), propylene glycol, butylene glycol, phenoxyethanol, tocopherol, hydrolyzed rice proteins, hydrolyzed quinoa, ethylhexylglycerin, titanium dioxide, simmondsia chinensis (organic jojoba) seed oil, persea gratissima (organic avocado) oil, helianthus annuus (organic sunflower) seed oil, dog rosa canina (organic rose hip) oil, carthamus tinctorius (organic safflower) seed oil, argania spinosa kernel (organic argan) oil, sodium PCA, sodium lactate, arginine (L-arginine), aspartic acid (L-aspartic acid), PCA, glycine, alanine (L-alanine), serine (L-serine), valine (L-valine), threonine (L-threonine), proline (L-proline), phenylalanine (L-phenylaline), isoleucine (L-isoleucine) and histidine (L-histidine). 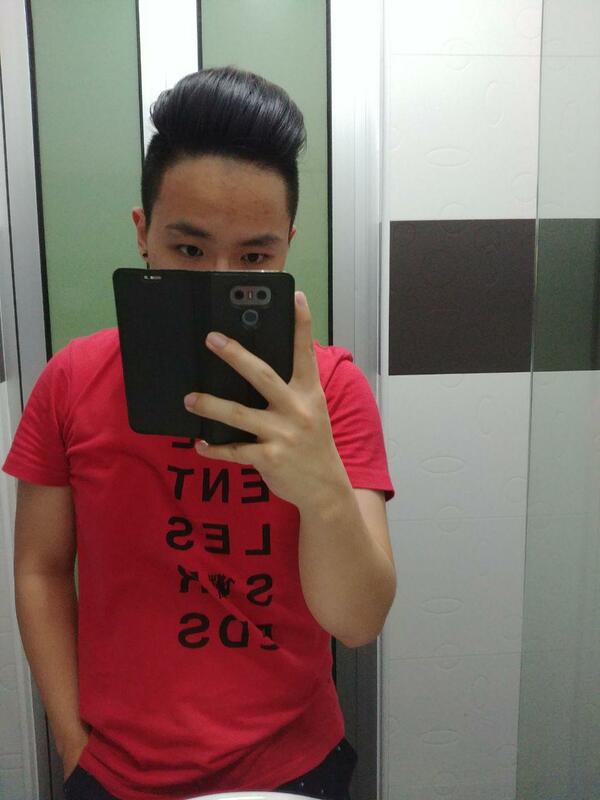 Its main purpose is to control unruly hair and create extreme texture. Fairly tough, like what you would expect from a traditional heavy clay. It feels quite thick and waxy and breaking it down is on the tougher side. It's nothing too difficult though and you shouldn't run into any problems with the breakdown. 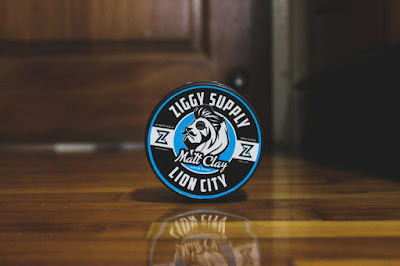 You will experience some tug and pull, as to be expected from a thick and waxy product, but it's nothing crazy and it shouldn't be discomforting unless you have fine hair. I definitely recommend applying in very small amounts. Styling with this product is fairly easy. 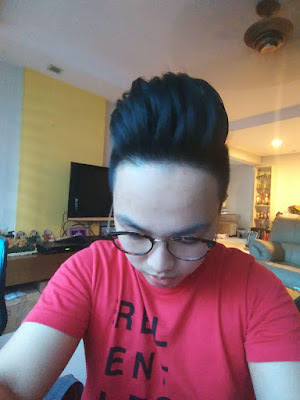 I styled my hair in a short amount of time and I only used 2 to 3 small licks of the product. You will feel the hold almost instantly kick in and you get good control over your hair. Again, nothing that blows my mind, but still pretty good. Very good. The texture is more on the coarse side, which allows for larger clumps of hair to stick together without falling apart. You could go for a fine texture look if you used more product, but nah. Very good endurance. Given my country's weather, it is a challenge for all products to endure the entire day, and this product is no exception. Nonetheless, the endurance was still very good. 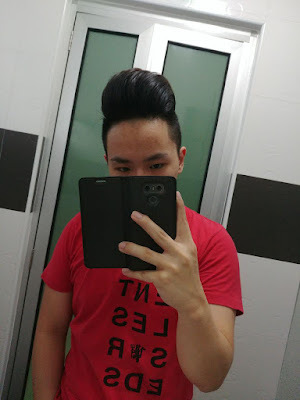 I only lost about 15 to 20% of the volume that I originally had, so that's pretty impressive. Unsurprisingly, it doesn't wash out completely with water, given that it is an oil based clay. You do need a shampoo to get most or all of it out, but it's nothing crazy yet again. 1 shampoo wash did the trick for me. 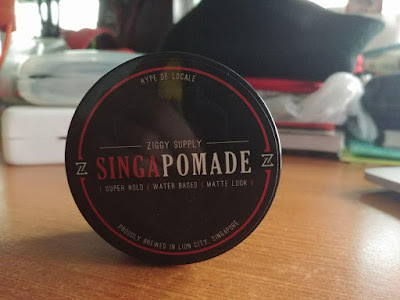 In my country, the price can range from SGD26-30, which is somewhat standard given that it is a salon grade product and most salon products are around that price range. Ordering from their website (linked down below) costs USD19.50, with shipping costs varying depending on where you live (It costs USD12.95 to Singapore). It's pretty good. It's definitely not a game changer, but it's a product that you can depend on and needless to say, my expectations of this product were met. 4 out of 5. Again, it's not a game changer in anyway. It's a product that met the expectations that I had for it and it's good. Of course, there are some drawbacks, such as the application process and the washout, but that's to be expected. Thank you for the nice post and it is very interesting to read. We can also use the other kind of natural oils like Chekku Ennai in Chennai for the strong and the healthy life.